Altynalmas owns the development-stage Kyzyl gold project in northeastern Kazakhstan. Turquoise Hill, an affiliate of Rio Tinto , will sell its stake in the closely held company to Sumeru Gold BV under the binding agreement. 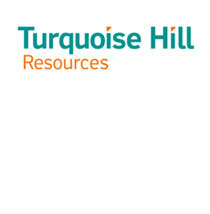 Turquoise Hill, formerly known as Ivanhoe Mines and based in Vancouver, Canada, acquired an interest in the Kyzyl project in 1996 and took its stake in Altynalmas in 2008. The company also holds a 66 percent stake in the Oyu Tolgoi project in Mongolia, along with a 58 percent stake in Mongolia-focused coal miner SouthGobi Resources Ltd and a 57 percent interest in Ivanhoe Australia. A deal to sell its stake in SouthGobi Resources fell apart in September, after China’s Chalco dropped its controversial bid in the face of political opposition.